The Art of the Post was first refined in the late 1900’s by a young lad of Hispanic descent named Sir Steve Bave Sendepapalapagos. Historians will later refer to Sir Steve Bave as the “Professor” of Post. At an early age, Sir Steve Bave came to the realization that he was most content in life when having to do as little as possible (both physically and mentally) while still being able to keep himself entertained with the simple pleasures in life. From that moment on, Sir Steve Bave understood that he was destined to introduce this innovative lifestyle of relaxation to the rest of the world. Therefore, Sir Steve Bave chose to dedicate his life to perfecting the use of his leisure time, which he referred to as “Posting”. 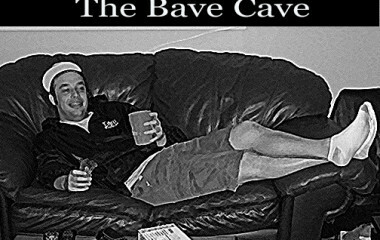 As the pioneer of this novel concept, Sir Steve Bave set out on a quest to explore all ends of the world (in this case, world refers to the living room where posting was first conceived) for the ideal mix of activities, circumstances, and conditions that would ultimately allow him to achieve his greatest aspiration… the perfect Post. Through his travels, Sir Steve Bave encountered the richest diversity of cultures the world had to offer and he carefully documented the many customs and rituals they had developed in achieving their own realm of perfect recreation. After a thorough analysis of his accumulated data, Sir Steve Bave sadly concluded that the world still lacked the one true and perfect means of recreation. As Sir Steve Bave was certainly the most determined individual of the 20th century, he would not let this obstacle deter him from reaching his goal. To attain his aspiration of the perfect Post, Sir Steve Bave thus adopted the most effective methods of each culture’s recreational way of life and merged them together as one. Utilizing this technique, Sir Steve Bave successfully introduced the concept of The Post to the rest of the world. Finger foods of some type. A multitude of televisions displaying sporting events, funny movies, or a combination of both. Last but not least, the mindset that if you could be anywhere, doing anything, this is where you’d be and this is what you’d be doing. Once these five components are achieved, one has successfully entered the realm of “Post”. While Sir Steve Bave’s heroic pursuits have revolutionized the way we Post today, it is rumored that the perfect Post has yet to be discovered. It is instead Sir Steve Bave’s belief that his vision of the perfect Post is in fact a frame of mind continuously evolving from a lifestyle of Posting.